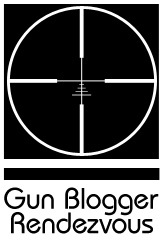 Is there a blogger in Louisville who is familiar with and regularly using Blogger who would be willing to give another Louisville (Soon-to-be) gun blogger a hand with the basics of how to use Blogger to post stuff?As you know, it's pretty easy to use, but if you are not familiar with it, you can have a bit of trouble in the beginning. I am a member of the High Standard Collectors' Association, and I am in the process of setting up a public Blogger blog primarily for HSCA members, but available for reading by anyone interested in High Standards. Jon, our President, could use a hand getting started. Anyone in the area that can help? As many of you know, I have been competing with High Standard pistols for many years, and with good results. 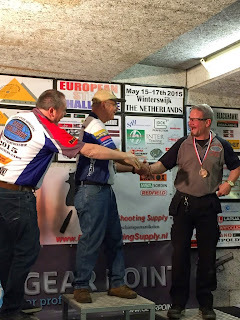 High Standard has now decided to help out a few shooters using their products, and I get to be one of them! My new Techwearusa jerseys have now arrived, and I am really happy with how great they look. Even neater than the cool jerseys is the fact that I will be getting one of the new all stainless steel High Standard pistols with which to compete. I can hardly wait to get my hands on it! High Standard pistols have always been very good, but over the last fifty years or so the company have been in and out of financial trouble, and at times I suspect that quality control may have suffered a bit. Low quality after market magazines that would never feed reliably didn't help. The basic design, however, is outstanding, and the triggers are second to none. High Standard barrels are also extremely accurate. Now that High Standards are being manufactured in Texas on modern CNC machines, the fit and quality is the best ever. I consider it an honor to be shooting for such a high quality company with such a fine product! There aren't too many entries in for the March e-Postal match "Scatter Gun" , so I am going to hold it open until next Monday night so more of you can get a chance to shoot some entries. Take some targets out to the range and shoot 'em up this weekend! Please note that this match is MUCH harder than it looks, so don't be discouraged by what you think is a very low score. Shoot the match as many times as you like, then send in your best targets. 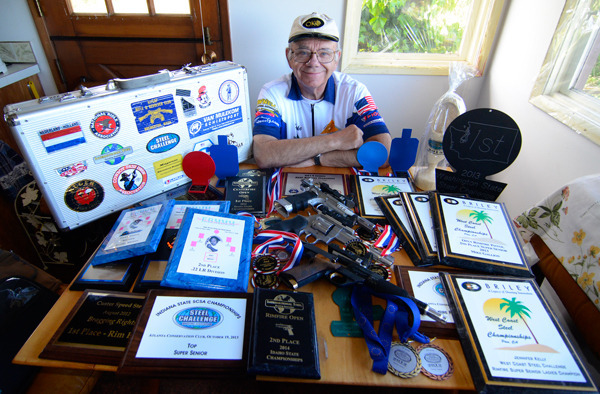 Only one entry per gun/class, though!! 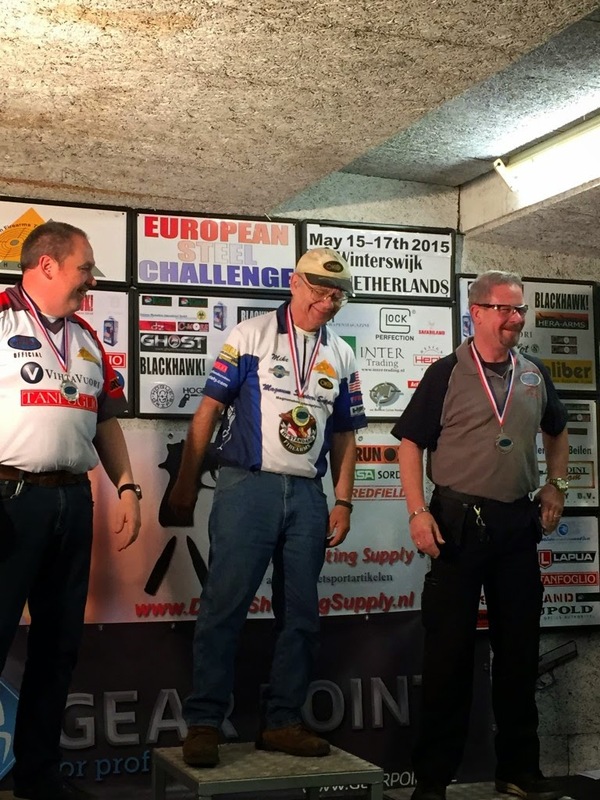 As many of you know, I have been working for several years to bring the International Steel Shooting Association to the world. 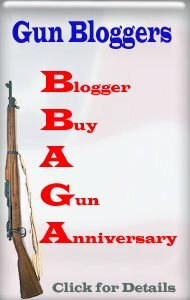 The new association was officially announced two years ago at the Gun Blogger Rendezvous. Since I don't have tons of money to spend on publicizing the new association, the growth has been slow but steady, but not earth shaking. 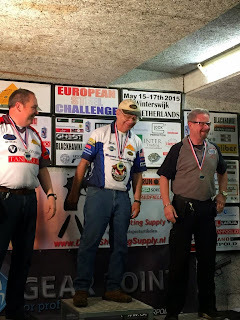 We have now had championship matches in Idaho, Washington, and a Falling Plate Championship in Langenau, Germany. We have now also had a club match in France. This is just the start, though, and as people catch on it's going to grow all over the world. Tilmann and the gang in Langenau did an excellent job, and I hope I can be there in person next year! Next year's match planning is already underway! WOO HOO!! It's time for the 2015 monthly Mr. Completely's e-Postal matches to get underway, so here we go! We're starting out the series with a brand new target, and it should be challenging, but not too challenging. Remember, every e-Postal match always turns out harder than it looks, so even if you shoot what you think is a very low score, send it in anyway, you might just be surprised at how well you actually did! This month we have seven classes, so there's a place for just about everything. It's time to drag out all those handguns that have been unused all Winter and limber 'em up! It is an Adobe Acrobat PDF file. CLASS FIVE: Any revolver with no more than a 12" barrel, iron sights. CLASS SEVEN: Any handgun with more than a 12' barrel, or any rifle, any sights, scopes, laser, whatever. If you have something interesting to shoot that doesn't quite fit into the above classes, go ahead and enter anyway. SCORING: You are allowed 20 shots at the target. 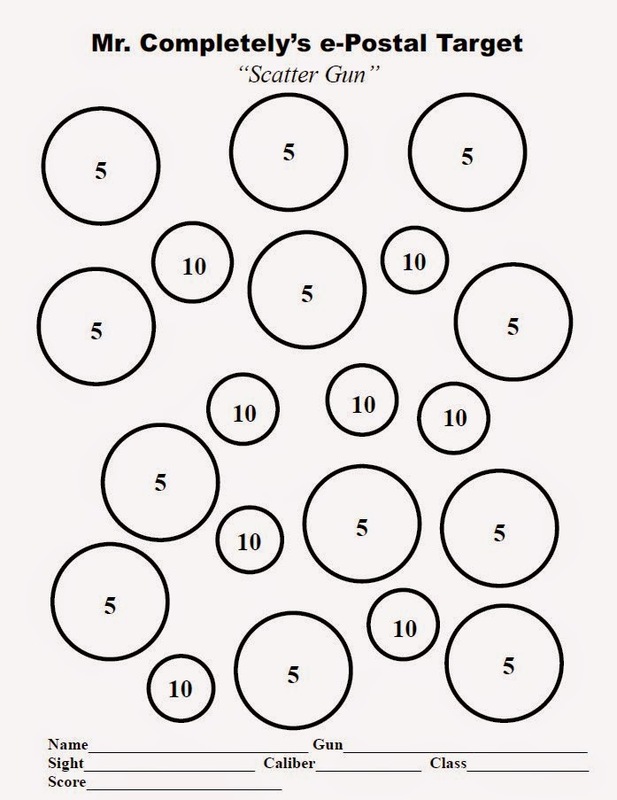 Each circle can only be counted once, regardless of how many times you hit it. Only clean hits count as a positive number value. If you hit the black ring, or even just graze the black, the score for that circle gets a minus sign in front of it! Only clean kills, or be penalized! If you have a clean hit fully inside the black, and you hit the black of that circle with a later shot, the score for that circle now goes negative. Once an individual circle goes negative, you cannot change it back to positive for that circle. The target has a perfect score of 140. Mark your score and details on each target with a legible pen, along with the class and type of gun used. Don't write your name on the target, only the name you want to appear in the results, as your target may get posted on Mr. Completely. STRATEGY: Are you better off to risk trying for the high score smaller circles first, or should you play it safe and be sure to get the easier ones of lower value? MULTIPLE ATTEMPTS: Sure, shoot it as many times as you like, and send in the best one! After leaving the escalator, it was a short walk to this fancy area (a 'Rotunda') with columns and even fancier marble floor work. You then pass through the rotunda into the start of the gaming areas. They are touchy about taking pictures in the gaming areas, so I didn't take many. Carpets in the gaming areas, with more marble to walk on. From my experience, walking on marble and walking on concrete is equally painful if you do it enough! All along the path to the show they had guides holding staffs with SHOT Show emblems to help those who get lost. An excellent idea. The guides had bright orange vests with reflective panels that lit up like crazy when you hit them with a camera flash! Finally through all of the gaming areas, and now more long hallways to get to the show. Lots of restaurants, bars, and shops along this section of the route. Perhaps another five minutes or so from here and you arrived at the show itself! Up another escalator to the third level and you were at the Press room, Member's Lounge, and a few booths in the hallways themselves. Big thanks to Nissan for sponsoring the Press Room. We had good WiFi, sometimes a few breakfast rolls, and free coffee. *Definitely * Needed * Coffee* , especially after the morning hike!